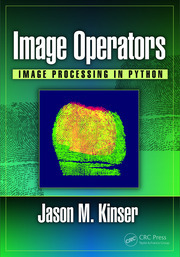 This book emphasizes various image shape feature extraction methods which are necessary for image shape recognition and classification. Focussing on a shape feature extraction technique used in content-based image retrieval (CBIR), it explains different applications of image shape features in the field of content-based image retrieval. 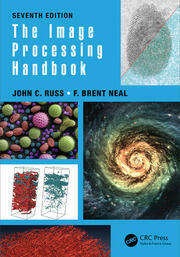 Showcasing useful applications and illustrating examples in many interdisciplinary fields, the present book is aimed at researchers and graduate students in electrical engineering, data science, computer science, medicine, and machine learning including medical physics and information technology. Dr. Jyotismita Chaki is an Asst. Professor in the Department of Information Technology ang Engineering in Vellore Institute of Technology, Vellore, India. 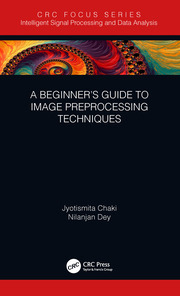 She has done her PhD (Engg) in digital image processing from Jadavpur University, Kolkata, India. Her research interests include: Computer Vision and Image Processing, Pattern Recognition, Medical Imaging, Soft computing, Data mining, Machine learning. She has published one book and 22 international conferences and journal papers. She has also served as a Program Committee member of 2nd International Conference on Advanced Computing and Intelligent Engineering 2017 (ICACIE-2017), 4TH International Conference on Image Information Processing (ICIIP-2017). Dr. Nilanjan Day was born in Kolkata, India, in 1984. He received his B.Tech. degree in Information Technology from West Bengal University of Technology in 2005,M.Tech. in InformationTechnology in 2011 fromthe same University and Ph.D. in digital image processing in 2015 from Jadavpur University, India. In 2011, he was appointed as an Asst. Professor in the Department of Information Technology at JIS College of Engineering, Kalyani, India followed by Bengal College of Engineering College, Durgapur, India in 2014. He is now employed as an Asst. Professor in Department of Information Technology, Techno India College of Technology, India. His research topic is signal processing, machine learning and information security. Dr. Dey is an Associate Editor of IEEE ACCESS and is currently the Editor in-Chief of the International Journal of Ambient Computing and Intelligence, and Series Editor of Springer Tracts in Nature-Inspired Computing (STNIC).